Please note your stand is not secure unless you have paid your deposit. Please note cancellations made within 6 weeks of the event will receive no refund. We cannot move your money to another show. What's included? A table (please let us know if you do not need one) electric and banner space. For the Simply in the City and Simply Cornwall Wedding Show we will provide snack packs and water to help you with your busy day! Fill in the form below to be added to our mailing list. Keep up todate with all new dates and venues, along with whats happening at Simply HQ. 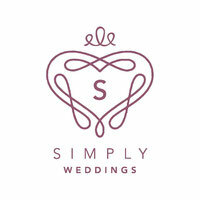 Once you have submitted your booking form to Simply Weddings; info@simplyweddingscornwall.co.uk you will be sent an invoice. Deposits must be paid within 5 working days or your stand will not be secure and could be resold.